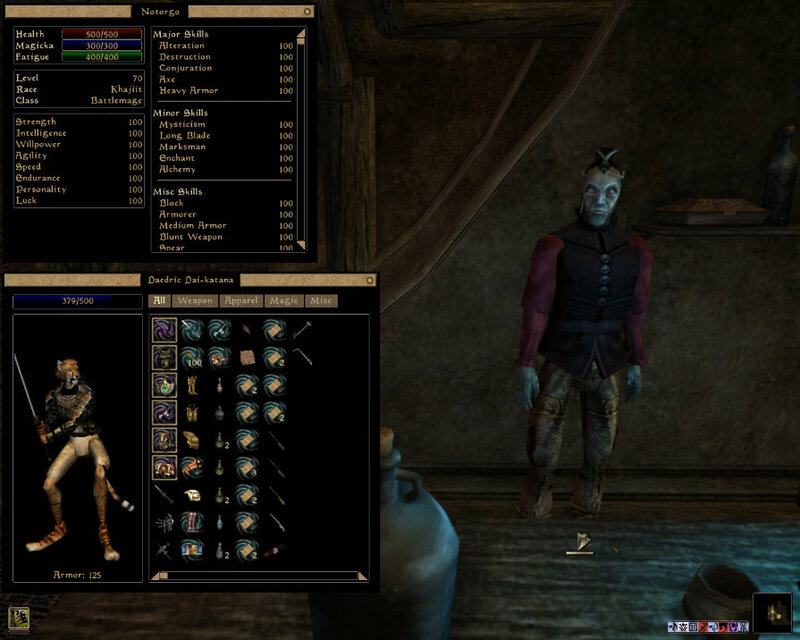 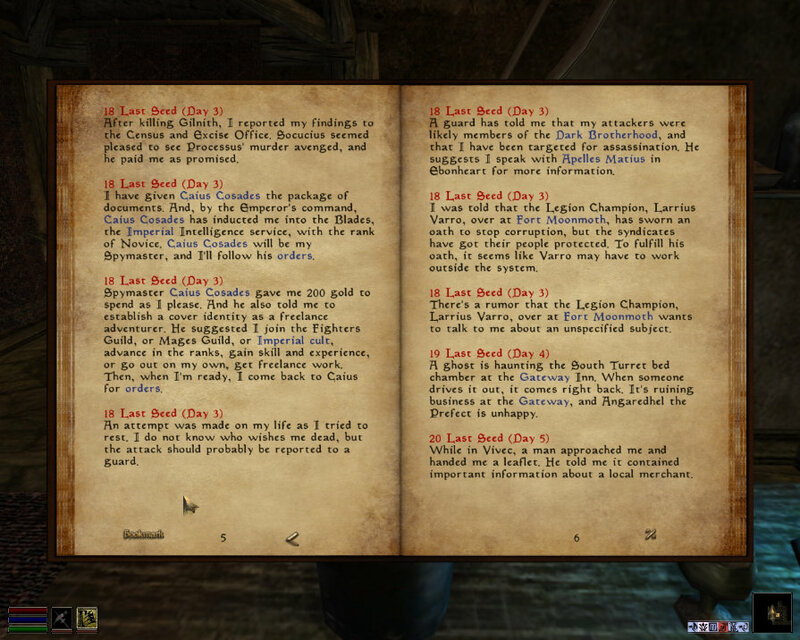 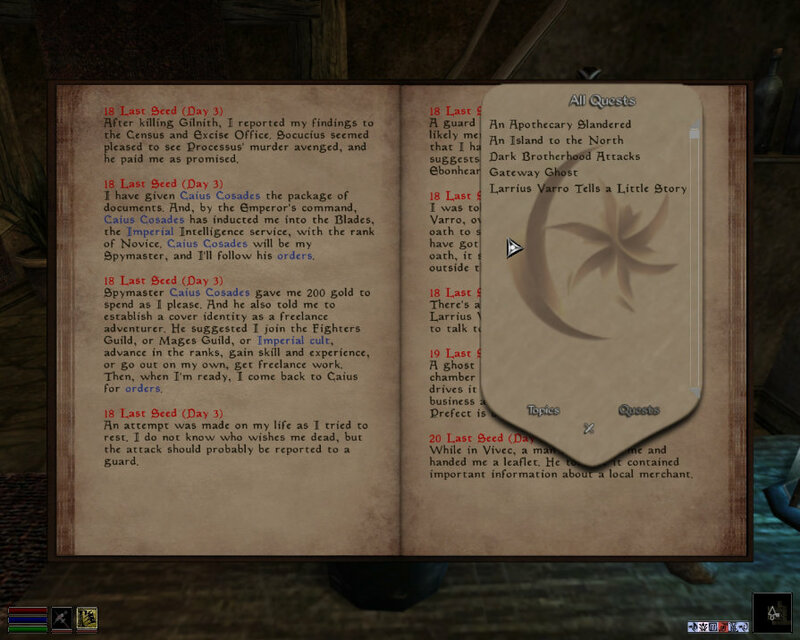 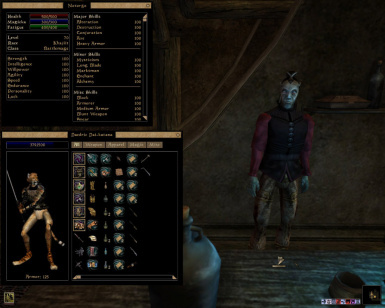 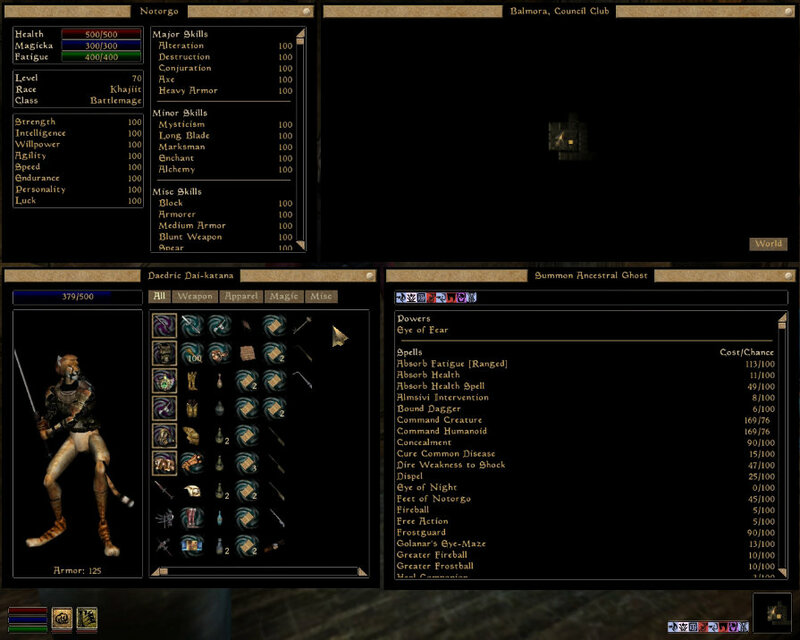 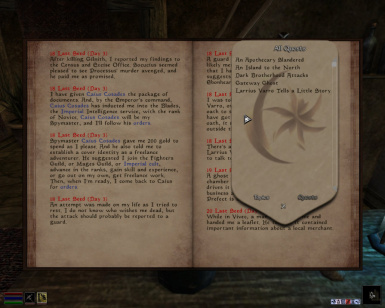 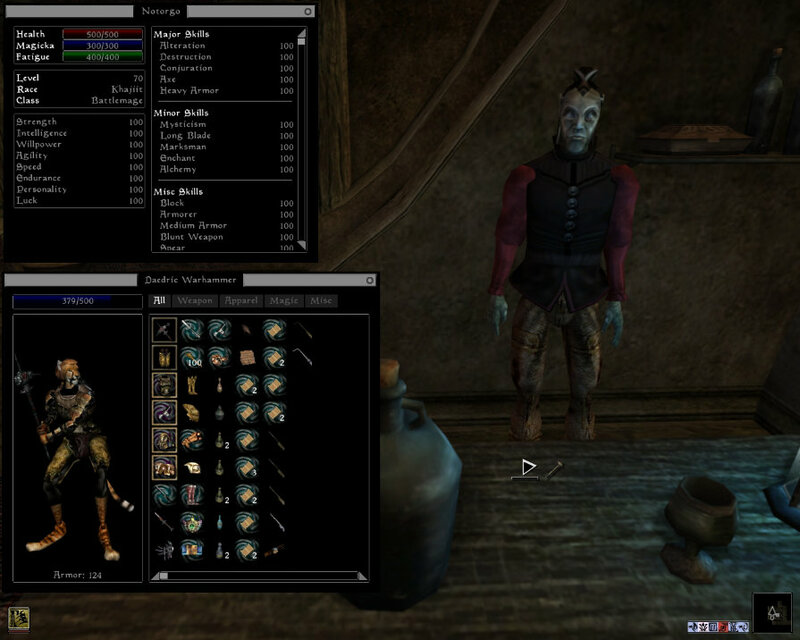 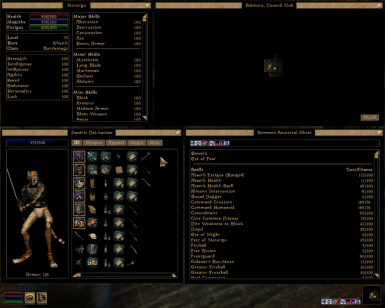 HD New look and overhaul to Morrowind's UI with keeping to the base design scheme. 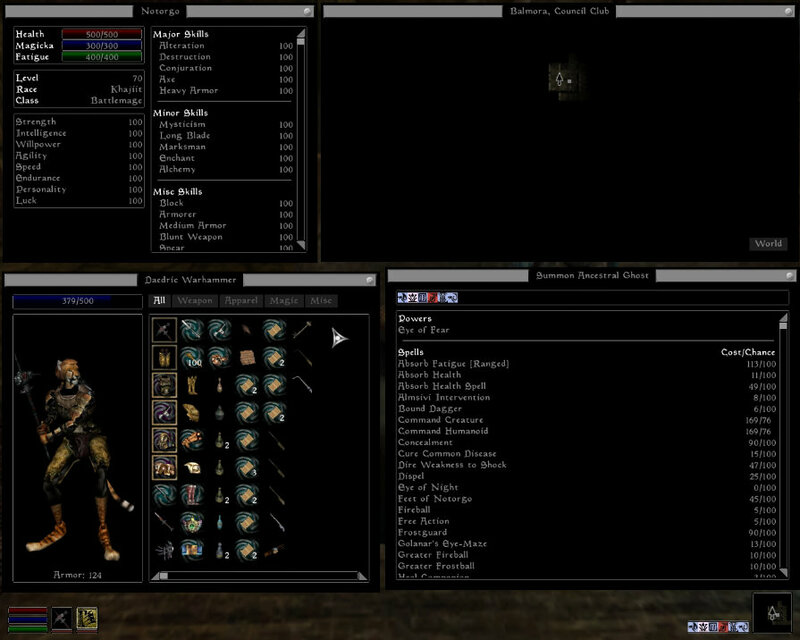 -changed bar graph style indicators to have better visibillity in game; reinstall ini changes. 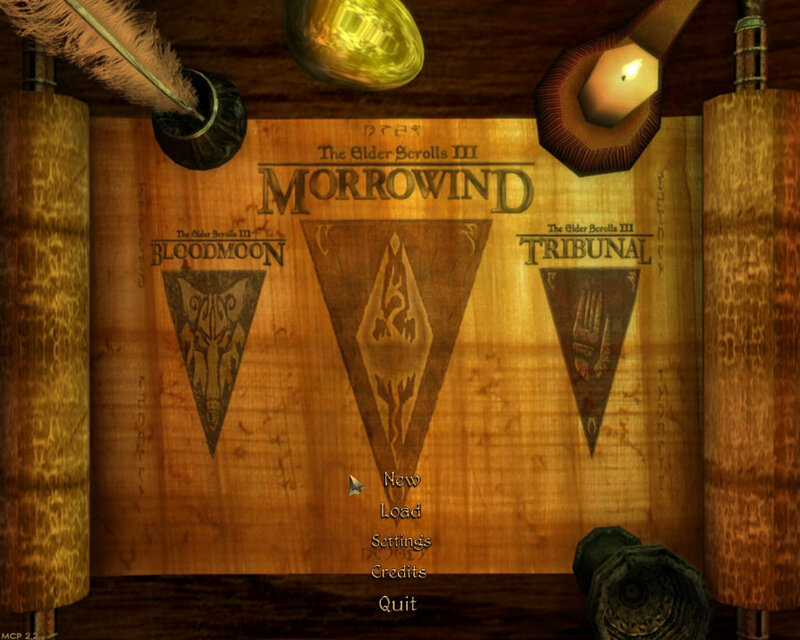 2 Main Theme choices to choose from; Classical (Morrowind-like) and Dark (Monochrome/Skyrim-like). 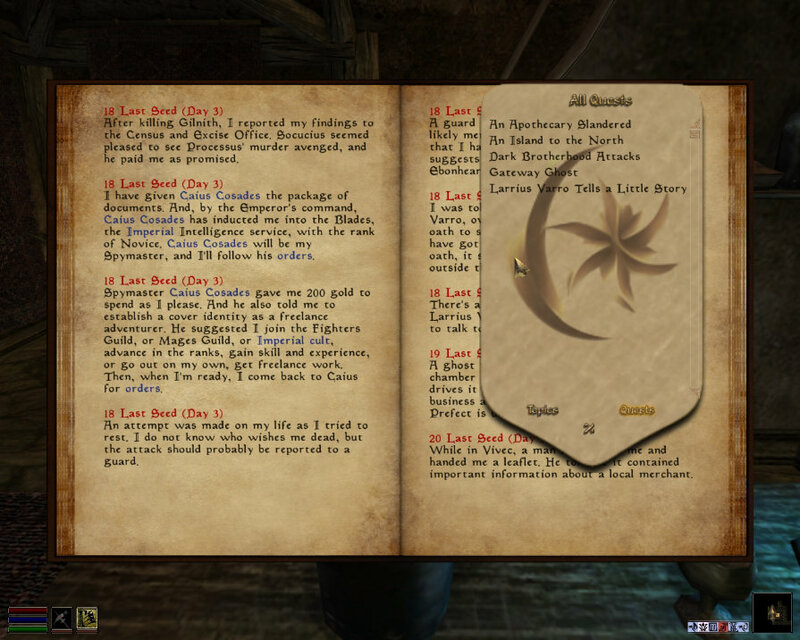 of care and work has gone into creation of these new assets. 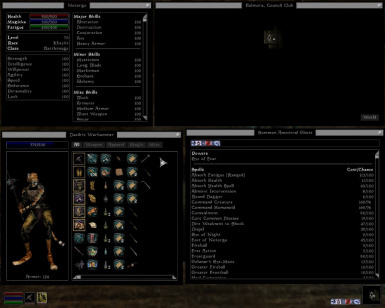 mods ie cursor sizes, menu scaling etc..
*HD quality and fidelity of the assets allow for better resolution scaling for when using the MGE/MGE XE "Menu UI Scaling"
*Customizability through initial mod set-up/install. NMM - Mash Package preconfigured installer. 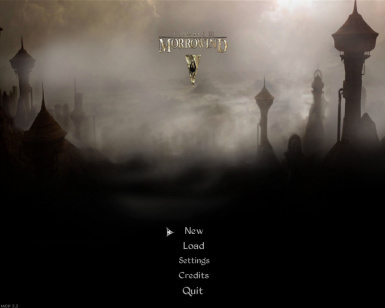 Mash to install the mod. 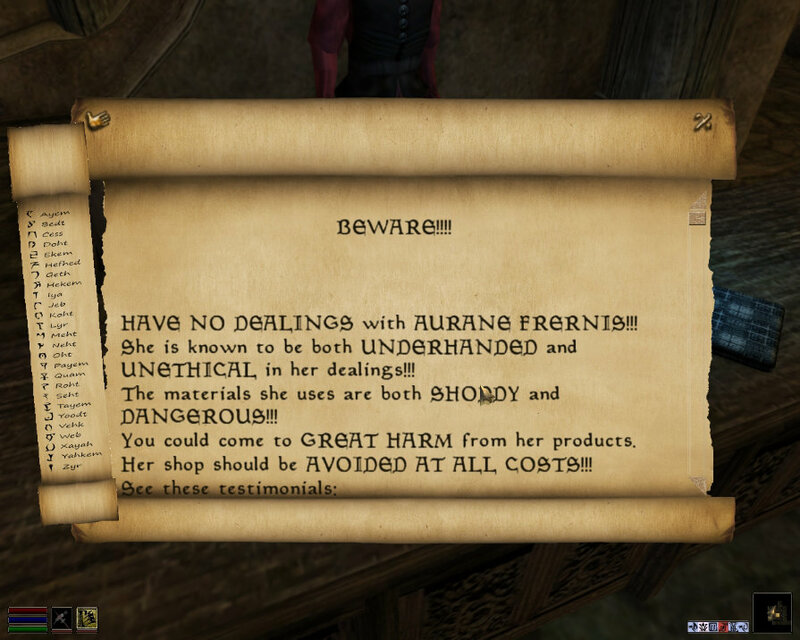 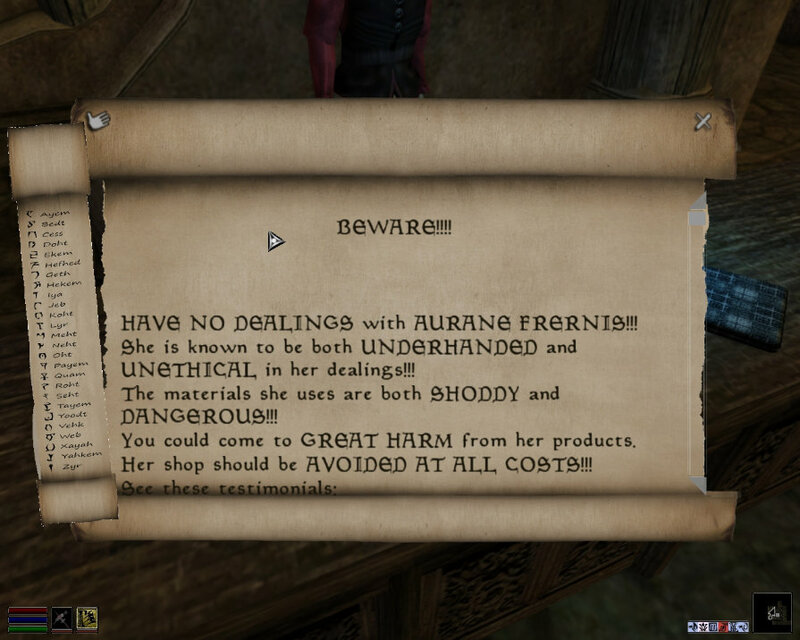 from the archive to your Morrowind\Data Files directory. 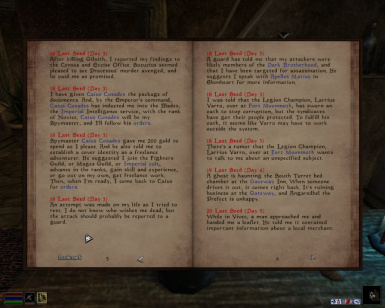 Overwrite any other files when prompted. 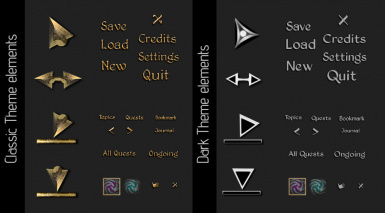 install accordingly based on what theme you use. 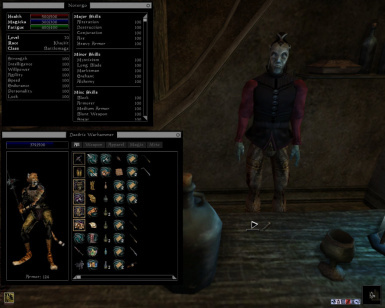 settings in your Morrowind.ini with the one's in the appropriate .txt files. 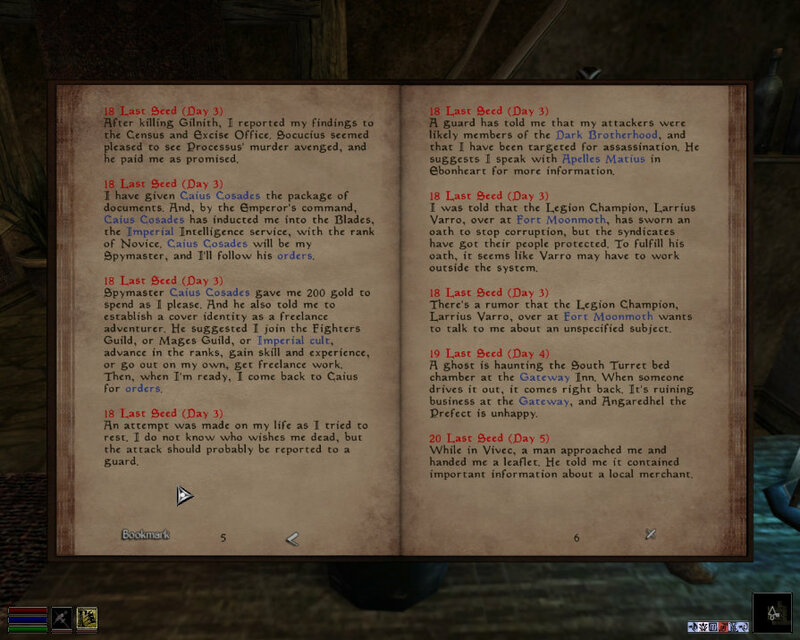 previously added to your \Data directory.